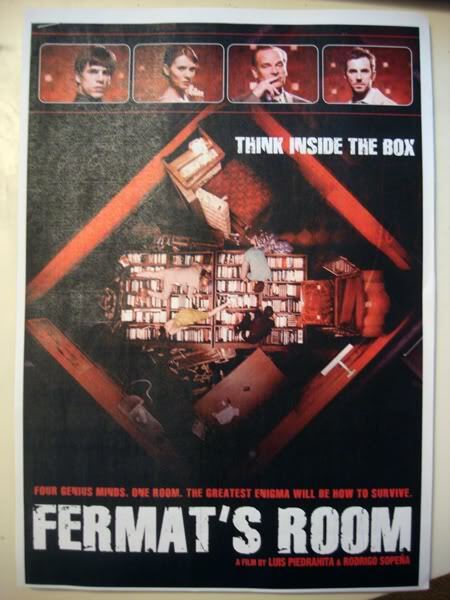 I display this picture in honour of a film called Fermat’s Room which I saw the other night. It’s about maths and stuff, which is perfect for me because I love both maths and stuff. The basic premise is this: 4 mathematicians in a room that is constantly shrinking. That’s it. I know what you’re thinking… AMAZING. But two things put me off before the movie had even started. Firstly, the refreshments at the screening extended to plastic cups of water (wtf is that?) and secondly, the press notes that they handed out made it look like the sort of amateur theatre production you’d find in the basement of a pub in Croydon. In reality, it wasn’t even slightly bad. Most of it was in fact quite good. And it was only 88 minutes long so even if you didn’t enjoy certain bits, they were over relatively quickly. 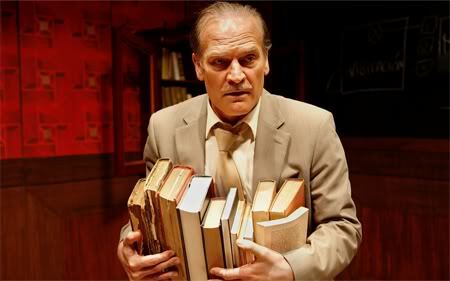 I’ll tell you what else, IF YOU LIKE MATHS do not hesitate to see it. Your heart will leap at all the cheeky Pythagoras references.